Well, I destroyed my first umbrella already. It’s been blustery and cold the past few days. Imagine me not owning a sweater walking down the street with an inside out umbrella, wet shoes, and fingerless gloves. Imagine everyone around me cracking up watching this hopeless Hawaiian girl trying to survive in Glasgow. I’m only mildly questioning my life choices. 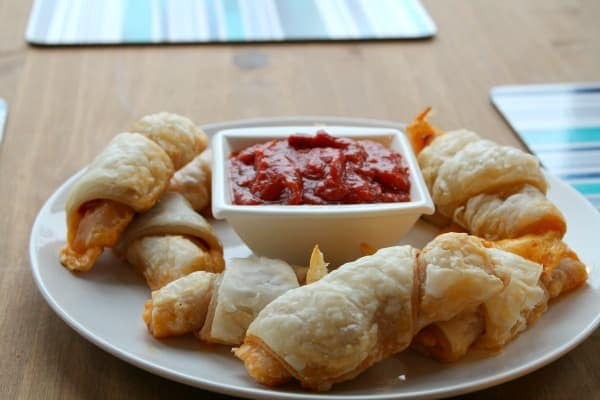 In other awesome news, Pepperoni Pizza Roll-Ups taste almost as good with puff pastry as they did when I first tested them in Hawaii with crescent roll dough. I have a feeling Brits would be horrified by dough in tubes. I’m not ashamed to say crescent rolls are one of my favorite foods. When I was sick, I’d just eat a whole batch of them with butter and honey because sick people don’t care about being sensible. They just want to be happy. These will be awesome with whatever kind of puffy, flaky dough you can get your hands on because that bread is filled with cheese and pepperoni. What could go wrong? If you do have to use puff pastry, you’ll just have to cut your sheet into 8 triangles. Use a pizza cutter. Simple. Stay dry. 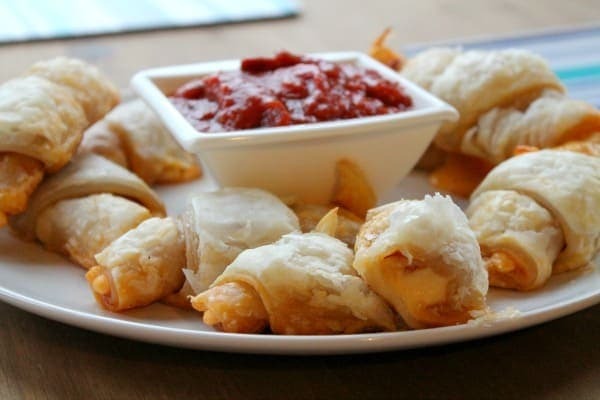 Eat Pepperoni Pizza Roll-Ups. Be awesome. 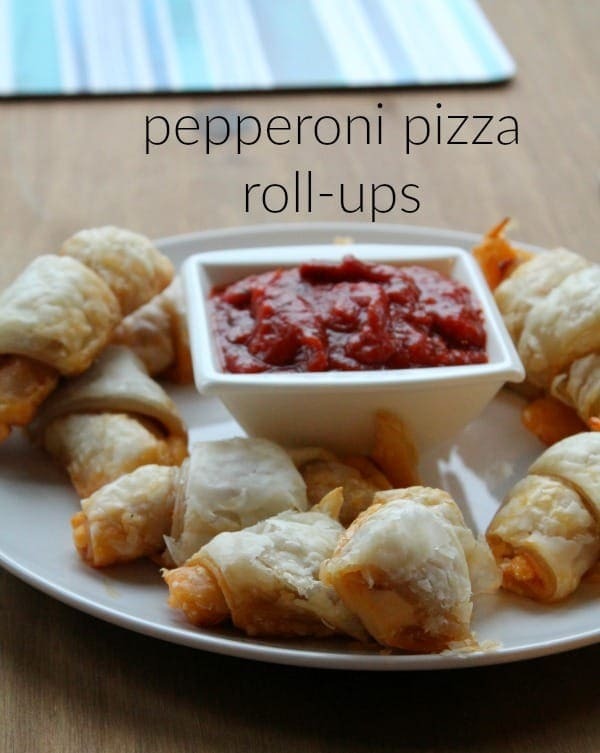 Pepperoni Pizza Roll-Ups are bursting with cheese and perfect for a game day or party snack. Preheat oven to 375 for crescent rolls or 400 for puff pastry and line a baking sheet with parchment paper. If using crescent roll dough, carefully unroll it and separate the 8 triangles. If using puff pastry, carefully unroll it and cut it into 8 triangles. I started by cutting it into 4 rectangles and then cutting each triangle diagonally. Arrange four half slices of pepperoni onto each triangle. Place a half of a string cheese at the short end of each triangle. Sprinkle garlic powder over each triangle. Roll up your cheese and pepperoni inside the dough. You can fold over any flaps on the end. Place your roll ups on the baking sheet. Bake for 12-15 minutes until golden brown. Allow to cool a few minutes before serving with pizza sauce for dipping.